Tony Steinhart first started working in the agriculture industry in 1992 when he was pushing a broom around the family business at 14 years old. Tony has years of experience dealing with financial institutions when it comes to finding the right financing for his customers. 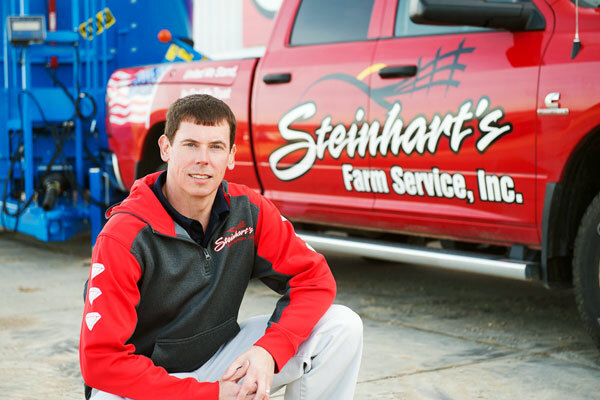 Steinhart’s sells TMR mixers, harvesting equipment, scales, silo unloaders, manure handling equipment, skid loader attachments and other types of automated farm equipment. He found the right financial relationship for his business when he started working with Stearns Bank in 2000. After a referral from a dealer he knew, things started to take off with Stearns Bank. Tony has always been impressed with Stearns Bank’s turnaround time to get financing done for his customers quickly. Tony works with Stearns Bank account manager Craig Kern. The two have worked together for eight years and have formed a solid working relationship together.